I have been reading, actually re-reading a lot lately about the Civil War and in particular our 16th President. It struck me on this Presidents’ Day 2012 that as ugly as the political discourse is nowadays it is benign compared to what was occurring in this country in 1860-1865. We were as a people literally killing each other over the direction that the country should take. It was no small family argument either, it was the bloodiest of any war ever fought by this nation. Bloodier than all the other wars that the USA has fought combined. Official tallies place the casualties at a combined 620,000 soldiers with untold numbers of civilians with many historians placing the total number at 700,000 dead with another 300,000 wounded. Only horses and mules fared worse with over a million killed. As a percentage of the population 1 in 10 of all Northern Males age 20-45 perished while 1 in 3 of Southern Males 18-45 perished. Even before the war officially began things were so acrimonious that President-Elect Lincoln had to sneak into Washington D.C. in a disguise and under the cover of darkness. Seven states had already seceded before Lincoln arrived, starting with South Carolina in response to the 1860 Republican victory, another eight followed soon after. All Federal forts, properties, armories, ships, trains and buildings within those states were seized by the new Confederate government. Military officers, Senators and Congressmen from the Confederate States resigned their positions and joined the new government. The newly formed Army of Northern Virginia stood within striking distance of Washington D.C. Soon Confederate victory after victory soured the North’s appetite for war and the country found itself in a quagmire of epic proportions. Quelling the rebellion had become secondary to the very survival of the Northern States with the Capital on the verge of falling into Confederate control, the possibility of England intervening on the side of the Confederacy and France making an incursion into Mexico threatening the southern border teritories under neither Confederate or Federal control. Lincoln had few allies and fewer friends. Anti-war Northern “Peace” Democrats demanded that Lincoln sue for peace, that the war was lost. The “Copperheads,” a radical faction of the anti-war Northern Democrats went further, damaging the Union war effort by fighting the draft, encouraging desertion, and forming conspiracies. Those efforts came to a head in New York City in 1863 when a mob of hundreds responding to emotional rants by Democrat politicians that the war was an “ungodly effort waged on behalf of the black man,” that the Draft was an effort to “kill off Democrats” and “a rich man’s war and a poor man’s fight” rioted in opposition to the draft. Dozens of Policemen lost their lives, more than a thousand people were killed or wounded, Blacks were attacked and lynched on sight, a black orphanage was burned to the ground, hundreds of stores were looted and destroyed. It was in effect a Confederate victory in the North. On the other side of the political spectrum Lincoln had to deal with the “Radical Republicans,” a faction of the Republican party that opposed Lincoln’s moderate wing of the party. They criticized Lincoln’s handling of the war as being too slow and measured and opposed him on policies and appointments. Amazingly in a time of war this faction of Republicans worked to undermine him politically in an effort to weaken him so that one of their own could assume the presidency in 1864. They were staunch Abolitionists that wanted the South not just defeated but punished. They opposed the Emancipation Proclamation because it only applied (initially) to the Confederate States. But Lincoln had to walk a fine line less he lose the Northern Slave States to the Confederacy, something the Union might not survive. Lincoln who often was the only one to believe in a Union victory rejected both extremes. He is one of those few presidents who had an unshakable compass that guided him in his decisions and beliefs. His belief that the country must be reunited and his refusal to recognize the Confederate Government as legitimate ran counter to what almost everyone else believed during the darkest days of the Civil War. It’s instructive as we listen to the various factions today argue about the demise of the country if this or that person or party comes into power. Epithets and steryotypes are thrown around with ease. “He’s a Socialist,” or “that party is based on hate and racism,” or anyone supporting that candidate “is for a welfare state,” or “is for the rich.” Certainly there is an ebb and flow in the political spectrum that creates, for better or worse, changes in the fabric of our society. 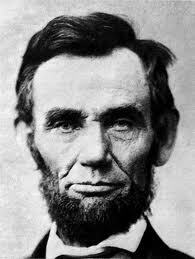 But it seems to pale in comparison to the way things were in Abe Lincoln’s time. One could only imagine if Lincoln had pursued peace with the South. How long would slavery lasted? Another fifty or one hundred years? Into modern times? What would be the make up of the Confederacy today? Could they have sided with Japan or Germany in the two World Wars that occurred in the century following the Civil War? Would they have expanded into the west challenging the Union in developing the frontier and expanding slavery? Would a second bloodier Civil War eventually have been fought? Those are narratives hard to imagine in this day and age. But ones that very well could have occurred had it not been for the foresight, courage and unyielding disposition of perhaps the greatest president of these United States. Lincoln it can be argued through sheer will power and along with a number of great Generals such as Grant and Sherman and hundreds of thousands of brave men turned the tide of that war and ensured ever after that all men born in this country were born free men and equal under the law. Of course it would take much longer than the course of the war to achieve true equality. Southern Democrats in control of the Senate continued to oppose integration and equal status for African-Americans well into the Twentieth Century. They were led by among others, former Vice President Al Gore’s Father, Al Gore Sr and one Southern Republican in the Senate in opposition to the Civil Rights Act of 1964 initiated by President Kennedy. Northern Democrats and Republicans combined forces to enact something that was set in motion by a Republican, Lincoln and finished posthumonusly by a Democrat, Kennedy. Two Presidents further intertwined by fate and assassination. I’ll close with President Lincoln in his own words which although brief, is perhaps the best speech ever given by any President and one that every school child should be required to memorize. The Gettysburg Address given on November 19, 1863. « Be careful, its a Zoo out there!